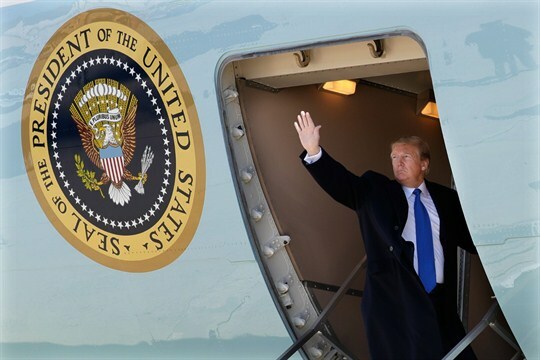 President Donald Trump boards Air Force One for a trip to Vietnam to meet with North Korean leader Kim Jong Un, at Andrews Air Force Base, Maryland, Feb. 25, 2019 (AP Photo by Evan Vucci). One of the unforeseen beneficial outcomes of the Trump era is the fertile debate it has fueled over America’s foreign policy and global role. As a candidate, Donald Trump questioned many of the pillars of U.S. foreign policy. As president, he has run roughshod over America’s core partnerships and values, to say nothing of the diplomatic protocols he has trampled in the process.